The Los Angeles-based, upbeat, electro-folk-pop band Grizfolk is composed of Swedish musicians and music producers Fredrik Eriksson and Sebastian Fritze, as well as lead singer Adam Roth, guitarist/vocalist Brendan Willing James, and drummer Bill Delia. The Varsity sat down with Grizfolk before their Toronto show at the Air Canada Centre to chat about their upcoming album, touring with Bastille, and the secret food that keeps them motivated. 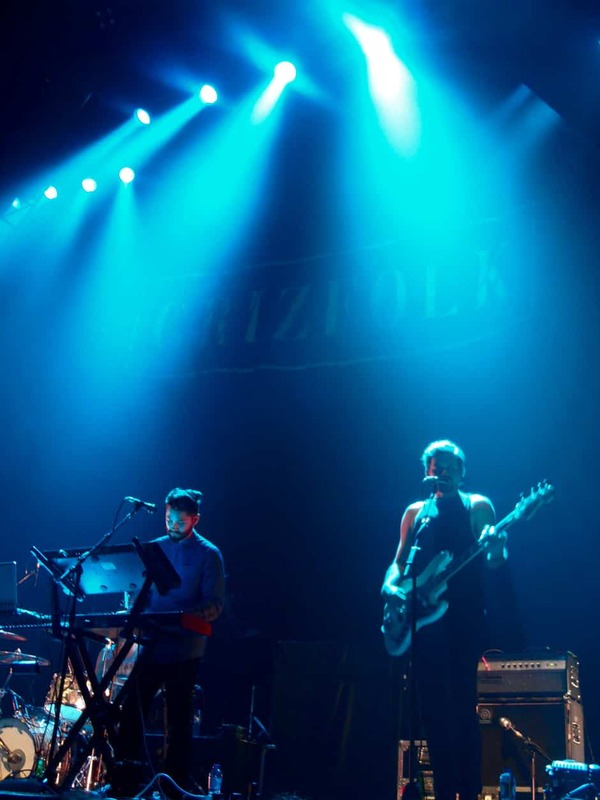 Grizfolk mixes electronic music with Americana folk and indie pop to create a unique sound and, given that, one cannot help but wonder what musical influences lie behind their music. “Justin Vernon — for sure,” said Frizte and the whole band nodded unanimously, referring to the man who founded Grammy Award-winning band, Bon Iver. “It would be a dream to work with him. Justin Vernon — if you’re listening!” Roth said, laughing. In addition to Vernon, the band’s dream collaboration list also includes Dave Grohl and Miike Snow producers Bloodyshy & Avant. The music business can be ruthless, especially when it comes to the pressure of making your “big break.” “We genuinely love what we do and that’s what keeps us going,” Delia said, “but we hate the cut-throat music industry.” At the end of the day, it’s the fact that Grizfolk “can’t imagine doing anything else” that helps them keep going, as well as their love of burritos, apparently (and really, who can blame them). In terms of writing the music, Roth’s biggest obstacle is the doubt that what you’ve written isn’t good enough. “Because the best stuff that comes out is unexpected — it’s verbal diarrhea,” he said. Fritze added that the advent of various multimedia platforms makes it easier than ever for artists to make a name for themselves. “You know, you can put a song up on YouTube or a blog can catch it, and it blows up,” he explained. Their tour with Bastille has been nothing short of amazing so far, with most venues sold out. Their favourite venue ever played, however? “Bell Centre, Montréal. It’s our first time in Canada, and man, you Canadians,” Sebastian said. With over 200,000 YouTube views and one million Spotify listens on their single “The Struggle,” not to mention sold out stadium shows, it’s safe to say Grizfolk are well on their way to their big break in this cutthroat industry.